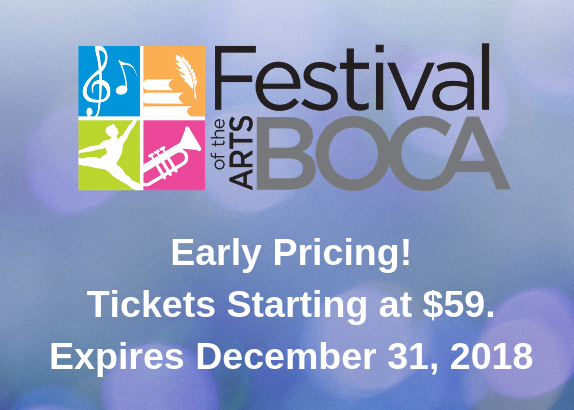 Festival of the Arts Boca – Early Ticket Discounts no. Take advantage of these Early Bird Ticket Offers for the 2019 Festival of the Arts Boca in Mizner Park! February 28 - March 10, 2019. Take advantage of these Early Bird Ticket Offers for the 2019 Festival of the Arts Boca in Mizner Park!